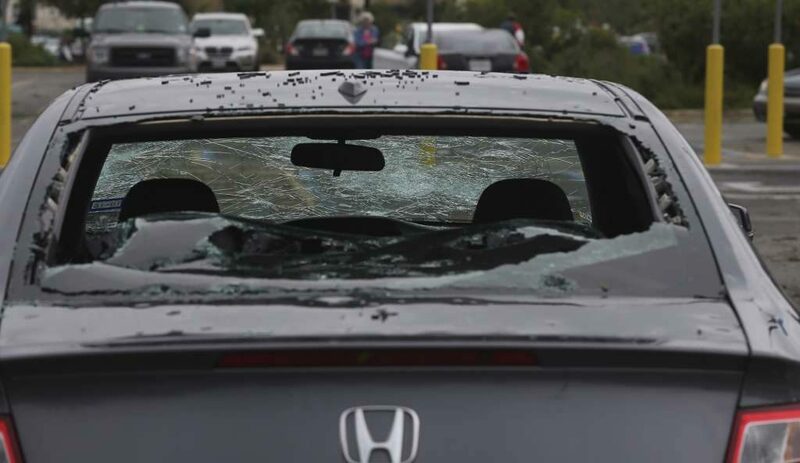 April hailstorms that pummeled the San Antonio area are projected to have caused more than $2 billion in damage, according to updated estimates from the Insurance Council of Texas. The council revised their initial estimate from April 20 of $1.36 billion in damages as claims continued to roll in over the last month, said spokesman Mark Hanna. The group’s original projection was based on claims received within about a week of the April 12 storm, Hanna said. 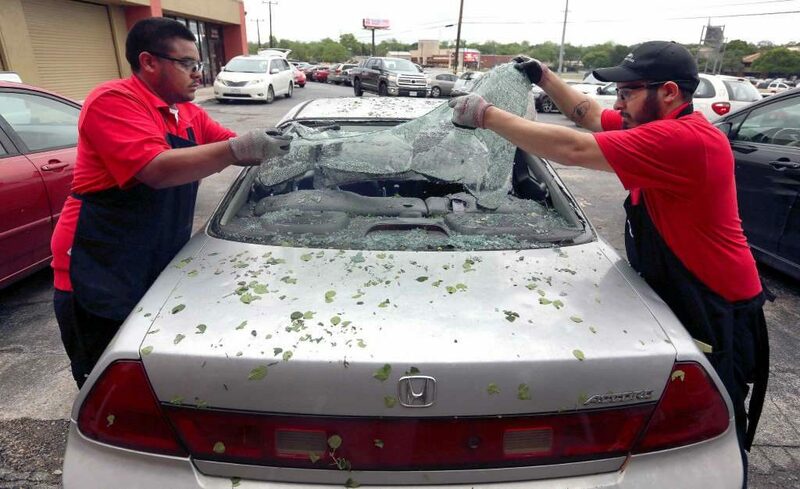 Hailstorms again pummeled the area on April 17 and 25. Earlier in the day, the council had incorrectly reported that the estimate applied only to the April 12 storm, which would have made it the costliest hailstorm in U.S. history. The group is now projecting $1.93 billion in losses from auto and homeowners’ claims alone from the April storms. The council’s 500 members estimate that they have received at least 136,000 auto claims costing $680 million and 125,000 claims from homeowners costing $1.25 billion. Losses from commercial businesses, including schools, retailers and office buildings, haven’t yet been factored into the group’s estimates, but are expected to push the storm’s total cost to well over $2 billion, Hanna said. City leaders are holding a news conference later today with USAA, the Insurance Council and local prosecutors to warn residents of the risks of insurance and contractor fraud while getting damage repaired. San Antonio-based insurance giant USAA updated its claims numbers Wednesday from three spring hailstorms striking San Antonio, on April 12, 17 and 25. The claims from the three storms now total 27,000 for property and 36,000 for autos, said USAA spokesman Rich Johnson. On April 20, USAA reported that it had received 16,500 property and 28,000 auto claims for the April 12 storm alone. Johnson said all three hailstorms did most of their damage in the same geographic swath, from Helotes on the west to Converse on the east, mostly within Loop 1604. USAA’s claims likely will rise minimally from the Wednesday’s numbers, Johnson said.